Climate change is a serious environmental threat of today. Increasing gas emissions are an imminent result of the human activities caused by social, economic and technological changes. The greatest sources of gas emissions are fuel and exhaust fumes, transport, industrial activities, waste management and agriculture. Did you know that livestock and livestock supply chains are very important contributors to climate change? And did you know that especially domestic ruminant livestock is one of the biggest reasons to livestock sector’s emissions? The greenhouse gas emissions from animal agriculture can be divided into emissions of carbon dioxide (CO2), methane (CH4) and nitrous oxide (N2O). The livestock sector, particularly ruminants, is estimated to contribute up to 18% of total anthropogenic greenhouse gas emissions. Of the anthropogenic greenhouse gas emissions i.e. greenhouse gas emissions caused by human activity, agriculture is regarded as the biggest producer of methane. Methane again has over 70 times the global warming potential in 20 years’ time than that of carbon dioxide. Excessive greenhouse gas emissions, especially methane emissions, lead to ineffective and unproductive livestock production. The agricultural sector is also currently responsible for the vast majority of ammonia (NH3) emissions. Ammonia is a corrosive gas which, when released into the atmosphere, increases the level of air pollution. Once deposited in water and soils, it can potentially cause two major types of environmental damage, acidification and eutrophication. These gases, greenhouse gases and ammonia along with other hazardous gases, are generated as part of animals’ natural digestive process and at manure storage and treatment systems and manure applied to land for crop nutrients. Ammonia can be responsible for poor weight gains and feed conversion as well as higher mortality. Contrary to methane, reduced productivity due to ammonia relates to the living conditions of the animals. Reduced final body weights have been observed in poultry produced in houses with indoor ammonia levels approximately 25 ppm. For pigs, levels of 50 to 150 ppm affect weight gain. High levels of ammonia weaken the clearance of bacteria from the lungs which again increases the probability of animals to fall ill. Once an animal falls ill, the number of pathogens in the building will increase rapidly and may even cause an epidemic. Due to high levels of ammonia, pigs may also show increased levels of vice, such as tail and ear biting. Ammonia poses a threat for the animals as well as for agricultural workers. Like methane, ammonia emissions can be reduced by manipulating animals’ diets. Also chemical amendments can be applied to manure to reduce ammonia generation. The most important question is – how to reduce greenhouse gas emissions to create more productive animals? The main factor in creating more productive animals is to serve them high quality food. 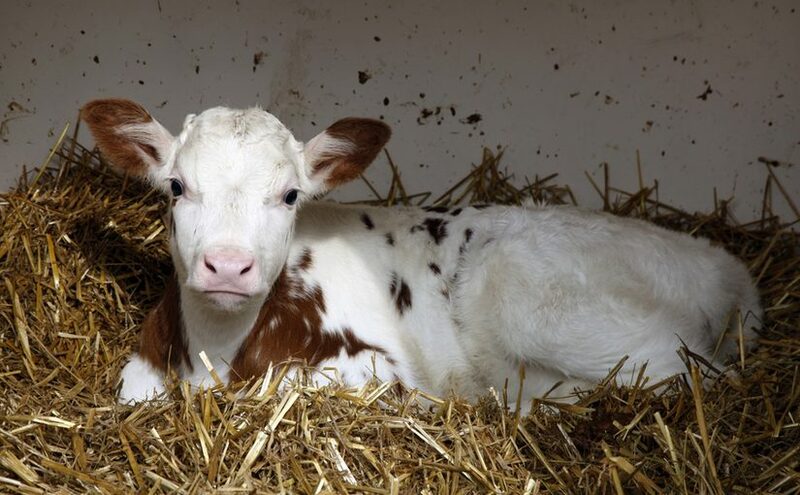 High quality food improves the overall wellbeing of livestock by enhancing digestion of the animals. This leads to lower emission levels and better air quality in the animal shelters. Furthermore, better air quality improves the feed intake of the animals, which makes them stronger and more productive. This way it is possible to lower the maintenance costs of the unproductive part of the herd and its emissions. Animal agriculture emission reductions positively affect climate change and what is more, good air quality leads to healthy animals and productive facilities. But how do you know which method or diet works the best? To attain this information, monitoring of emissions is essential. There are technical innovations available that support the farmer’s everyday work and help them solve issues in productivity. In fact, there are several technologies and practices that are designed to reduce emissions. The significance of said innovations is gradually increasing. Whatever the method for the desired emissions reduction is, monitoring of emissions is vital to know the starting point and whether the method is workable of not. Gasera’s portable GASERA ONE gas analyzer and its gas emission measurement application is designed to measure and control gas emissions in animal shelters reliably and accurately in demanding circumstances. Read more about GASERA ONE here. Animal husbandry. 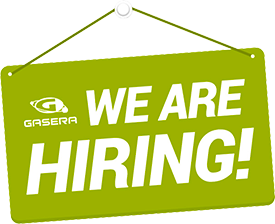 Gasera Ltd. 2016. http://www.gasera.fi/application/animal- husbandry/. Cortus, Erin L.; Jacobson, Larry D.; Hetchler, Brian P.; Heber, Albert J. & Bogan, Bill W. (2015) Methane and nitrous oxide analyzer comparison and emissions from dairy free stall barns with manure flushing and scraping. Atmospheric Environment Vol. 100, p. 57-65. Food and Agriculture Organization (FAO) 2010. Greenhouse Gas Emissions from the Dairy Sector – A Life Cycle Assessment. Food and Agriculture Organization of the United Nations Animal Production and Health Division. Forster, P., V. Ramaswamy, P. Artaxo, T. Berntsen, R. Betts, D.W. Fahey, J. Haywood, J. Lean, D.C. Lowe, G. Myhre, J. Nganga, R. Prinn, G. Raga, M. Schulz & R. Van Dorland (2007) Changes in Atmospheric Constituents and in Radiative Forcing. Climate Change 2007: The Physical Science Basis. Contribution of Working Group I to the Fourth Assessment Report of the Intergovernmental Panel on Climate Change [Solomon, S., D. Qin, M. Manning, Z. Chen, M. Marquis, K.B. Averyt, M.Tignor and H.L. Miller (eds.)]. Cambridge University Press, Cambridge, United Kingdom and New York, NY, USA. Ilmastonmuutos. Suomen YK-liitto 2016. http://www.ykliitto.fi/yk70v/ekologinen/ilmastonmuutos.